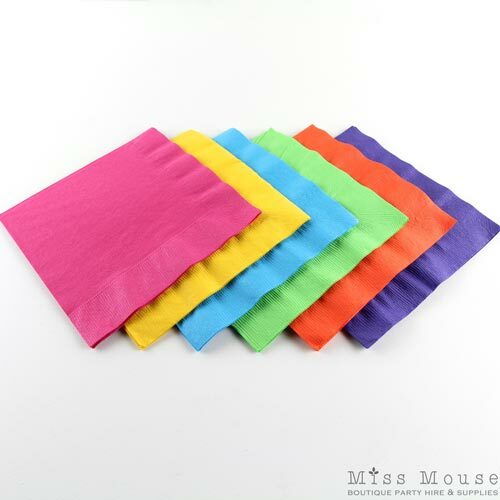 These block coloured 2-ply Fiesta Paper Napkins are a great option for a mexican fiesta or pink rainbow party! Coordinating plates, cups and table covers are available. Each pack contains an even mix of purple, orange, green, turquoise, yellow and magenta napkins.